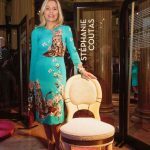 In the frenetic atmosphere of Paris Fashion Week, Stéphanie Coutas invites us to Faubourg Saint-Germain for a very special evening event. 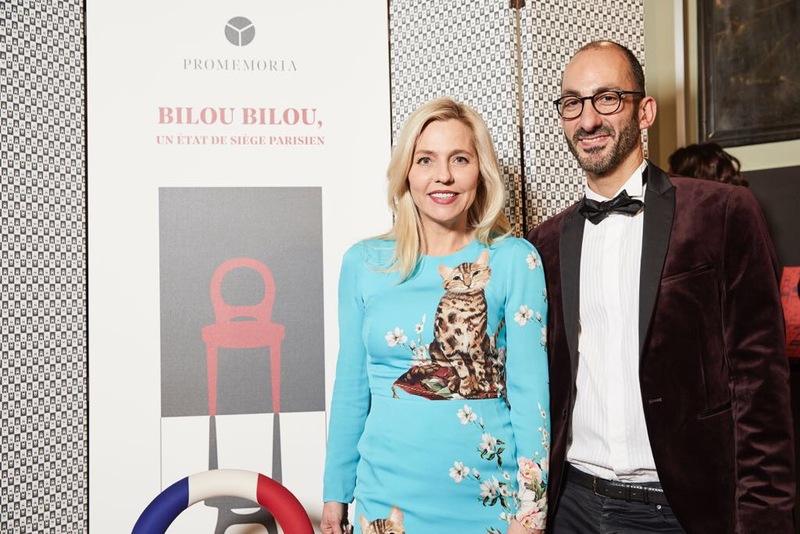 Tonight Romeo Sozzi, President and designer of Italian luxury furniture makers Promemoria, will unveil the reinterpretation of the emblematic Bilou Bilou chair, whose redesign he entrusted to her. 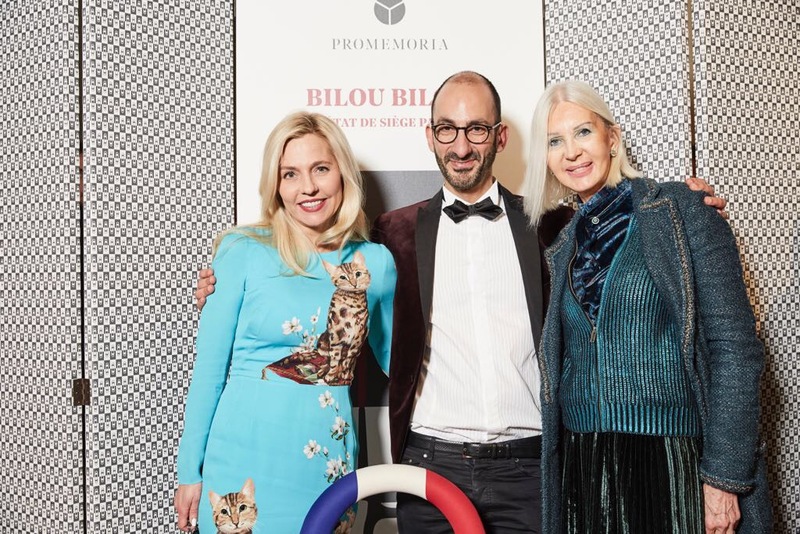 Designed in 1999, global best-seller Bilou Bilou has been travelling the world since 2015. It has been dressed and redressed by the greatest names in decoration, architecture and interior design. 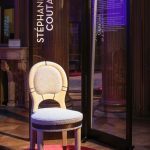 Bilou Bilou completes its world tour in Paris with eight designs revealed at the beautiful Hotel de Galliffet, home of the Italian Cultural Institute in France. 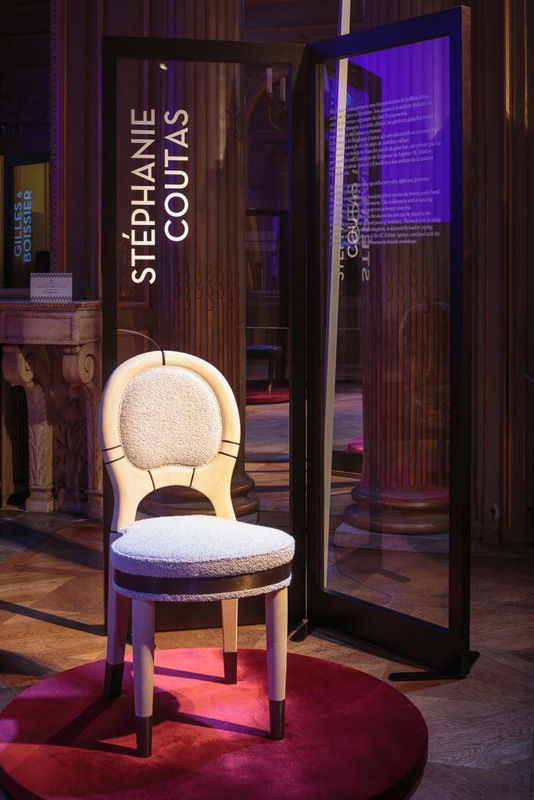 Tonight we will discover Stéphanie Coutas’s creation, offering an airy, light and feminine interpretation of the Bilou Bilou. 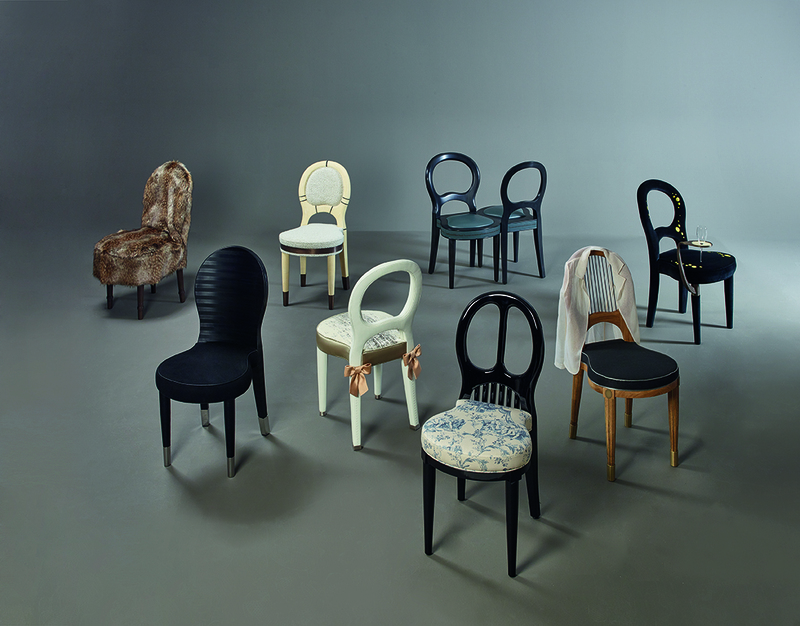 Its white bouclé seat is encircled with Promemoria’s signature bronze. Stéphanie Coutas’s tribute to the decorative arts is found in the natural elegance of this refined piece of furniture. The white bouclé back encircled with shagreen is offset by leather piping, a demonstration of the SC Edition’s exacting standards combined with the craftsmanship and excellence of the Promemoria workshops. 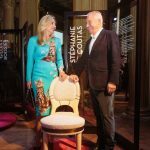 Stéphanie Coutas was invited to present her own vision of this iconic piece alongside the greatest Parisian decorators, designers and architects. Her Bilou Bilou is displayed in a visual setting by Gilles Dallière. 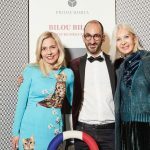 It is presented alongside creations by Pierre-Yves Rochon, Gilles & Boissier, Isabelle Stanislas, Elliott Barnes, Sybille de Margerie, Bruno Borrione & Astrid Dieterlen and Alexandra de Garidel. 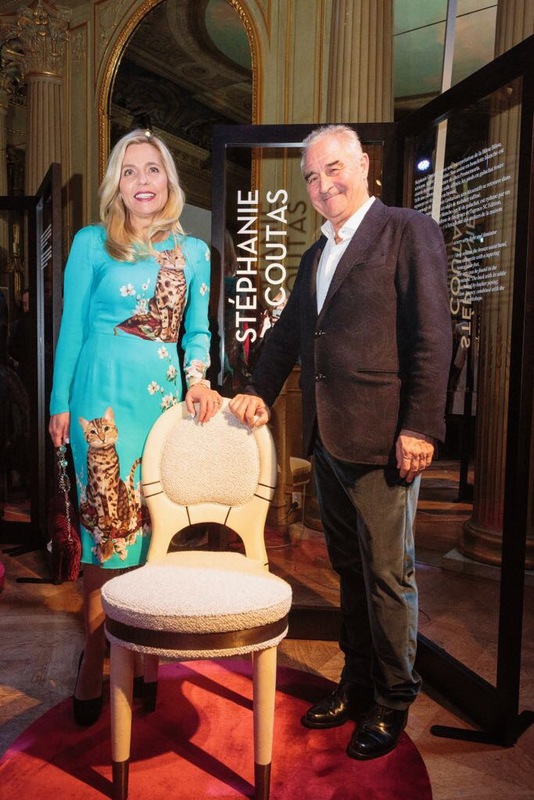 A Bilou Bilou transformed into the latest Parisian It-Chair. The eight Bilou Bilou models will be displayed at Promemoria’s Paris showroom on Rue de Bellechasse until the end of January.